Once you’ve made the decision to buy property in France, whether you want it as a holiday home or are planning to move to France permanently, one of the many things on your ‘to do’ list will surely be to learn French. As hard as that might seem, it’s so very necessary. Without some basic communication skills, you run the risk of being isolated, unable to exchange more than a bonjour with your neighbours, and dreading any business that might turn up – from getting the car serviced to connecting your phone or opening a bank account. Of course, there are agencies set up specifically to help expats with these kinds of matters – but if you want to be able to handle these things yourself, you have to a basic knowledge of French. The good news is that learning French doesn’t have to be a chore, and nor does it have to take up much of your time. If you have a local centre offering language classes, that’s definitely a good place to start, but for those living in a rural area, this might not be available. If that’s the case, don’t worry, there are plenty of other ways to learn French, either instead of, or in addition to regular classes. There are now numerous language-learning apps and podcasts you can download onto your smartphone or tablet, and they’re an excellent way to learn. Of the Apps, probably the best-known is Babbel, which offers three month courses from €6.65 a month, often extending optional deals. Babbel is terrific, immersive and interactive, letting you read and hear the language simultaneously, while practising speaking out loud and having your pronunciation assessed. It offers insights into grammar, and has a simple test system to keep everything fresh in your mind. The only downside is the lack of a table of contents or an index, so if there’s a particular area you would like to go back to and re-learn, you just have to find it for yourself. 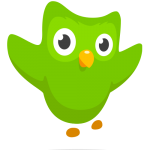 Duolingo is another terrific app, which is either free with adverts or €10.99 a month. There’s lots of repetition and drilling, and it’s fun and interactive. You set how much time you want to spend studying, with four levels: Casual, Regular, Serious and Insane. You’re then encouraged to keep up your chosen daily amount, with reminder emails. My only gripe is that it’s entirely intuitive, with no grammatical explanations offered, so I’d recommend supplementing the programme with a decent grammar book for added clarification. The BBC‘s website also offers free in-depth language courses, with online video lessons for beginners and beyond, holiday phrases, French for children, GCSE French, an overview of the French media and even a guide to French slang. Podcasts such as LanguagePod101 are another great way to learn French, enabling you to study at your own pace and within your own level, with audio and video lessons hosted by French presenters. They offer vocabulary learning tools and flashcards for repetition and drilling. There’s also a community forum for discussions about the lessons. LanguagePod101 is currently free. The key to online study is to do little and often – ten minutes daily is much better than 70 minutes once a week which is all but forgotten by your next session. Keeping new words fresh in your mind is what counts, and you’ll be surprised how much you can learn in a relatively short space of time. In addition to regular studies, I strongly recommend using the French media to help you learn the language. Many expats arrive in France and promptly set up British TV, rarely if ever bothering to watch any of the French channels. 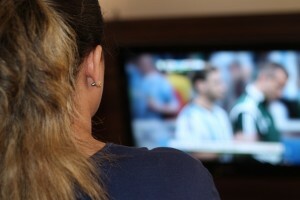 While I’m not suggesting you rely solely on French TV, a little goes a long way – it’s a question of choosing what kind of programmes you are more likely to learn from. Don’t be over-ambitious – a French political debate, for example, is going to be extremely complicated and is more likely to leave you feeling discouraged. What you really want to focus on is light relief. There are plenty of medical and detective dramas on air – but even they will use a language that’s relatively inaccessible, with medical or police terms and jargon you are unlikely to understand or, frankly, ever need. My suggestion is to follow a soap opera, where the language is simple and conversational, and it’s not too tricky to figure out what’s going on. My personal favourite is L’Amour, Gloire et Beauté, otherwise known as The Bold and The Beautiful, set in the glamorous world of Beverly Hills fashion. It’s fun, light, and strangely addictive, with lots of very similar, repetitive conversations explaining the current situation (mostly, who’s in-love with whom, and why someone else wants to keep them apart). The first time you watch, the French will probably just flow through your ears like a constant, indecipherable babble, but with a little perseverance (it’s on for 20 minutes every weekday morning) your ears will adapt, and the words will start to jump out at you. Keep a dictionary nearby for when that happens – in fact, I’d recommend having several dictionaries in the house, so you always have one close to hand. It’s worth remembering that, as in Britain where much daily chit-chat centres on TV programmes, the same goes for France. Try watching the big Saturday night show – The Voice, Dance Avec Les Stars, X Factor – as the language will be colloquial and not too hard to understand: the struggle involved, the praise or criticism, relief or disappointment – it’s all relatively easy to follow. Stick it out and who knows, the next time you see your neighbour, instead of a simple bonjour, you might find yourselves bonding over the success (or otherwise) of a certain candidate’s progress! Reading French – a little and often – is another way to increase your vocabulary and keep the language at the forefront of your mind, but the same goes as for TV programmes, don’t be too high-brow about them. A Paris Match might be ambitious, but celebrity gossip and lifestyle issues, such as in Gala or Voici will be much more accessible. Have your dictionary ready and take the time out to learn a few new words – this only need take a few minutes of your day. Again, it doesn’t hurt to follow a bit of French gossip in order to have something to chat about with your neighbours. It might sound silly, but until you’re ready to try having conversations with a patient friend or neighbour, you might as well chat to yourself! Try it when you’re doing something menial, like the washing up. Go over in your mind all the things you’re going to do next – go shopping, buy vegetables, have a coffee in the town square – just practise quietly to yourself. This way of course you can also prepare for any conversations you might have – ordering in the cafe, shopping in the market – what are you going to need to say? If you find there’s a word missing just look it up and incorporate it in your practise run – you’ll feel so much more confident when the real time comes. Once you’ve moved over to France and have enrolled your children at a local school, no matter how daunted they might seem at first, they’ll pick up the language in no time, especially if they’re young. The important thing is that they make friends to chat and play with – they mustn’t consider learning French to be a chore. Once they’ve integrated with children their own age, they’ll open up fully to speaking and writing French. To help them with the basics, such as learning the French alphabet, there are plenty of fun videos on YouTube you can watch together. For older children and teenagers, apps and podcasts will also be very helpful, as will the TV. We all make mistakes, but the reality is that no-one else particularly cares. Just making the effort is what counts – and it is appreciated. Learning the language is the key to making friends, having confidence and integrating into society. It’s not an overnight thing, but should be a daily, regular effort – a natural part of your life, of who you are and what you do. Keep it up, and every day it’ll get that little bit more easy. coin – not a coin, but a corner, with ‘le petit coin’ being slang for the loo, or smallest room in the house! expérimenté – while this word can mean experimental, it is very often used to to describe someone who’s experienced at something – ‘un medecin expérimenté’ is an experienced doctor, and nothing to be worried about!